There are ingredients, and then there are Ingredients. An ingredient is what we're used to thinking about in the kitchen - things like tomatoes, tofu or thyme. An Ingredient is what those things are made of. There are millions of ingredients, but only eight Ingredients: Waters, Sugars, Carbs, Lipids, Proteins, Minerals, Gases and Heat. Ingredient isn't a book of recipes - instead, it's about learning to see beneath the surface of food, exposing the moving parts that cause every failure and every triumph in every kitchen. You can apply the mindset laid out in Ingredient to any recipe or technique, regardless of your skill level or how you like to cook. 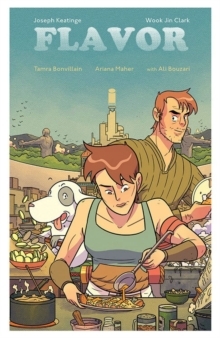 Home cooks will feel ready to take on any recipe, and restaurant cooks will feel prepared for anything that comes out of the fire. Beginners will have a lifeline if something goes wrong, and masters will improve dishes they've been cooking for years. Fans of old-school cuisine will understand classic preparations like never before and the innovation-minded will advance the art of cooking even further. 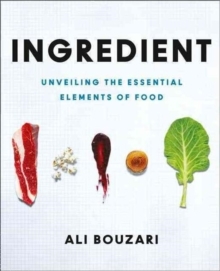 Renowned culinary scientist Ali Bouzari illuminates the elemental world of food and unlocks the secrets of ingredients in a lively, engaging and accessible way that dramatically changes the way we look at our food.